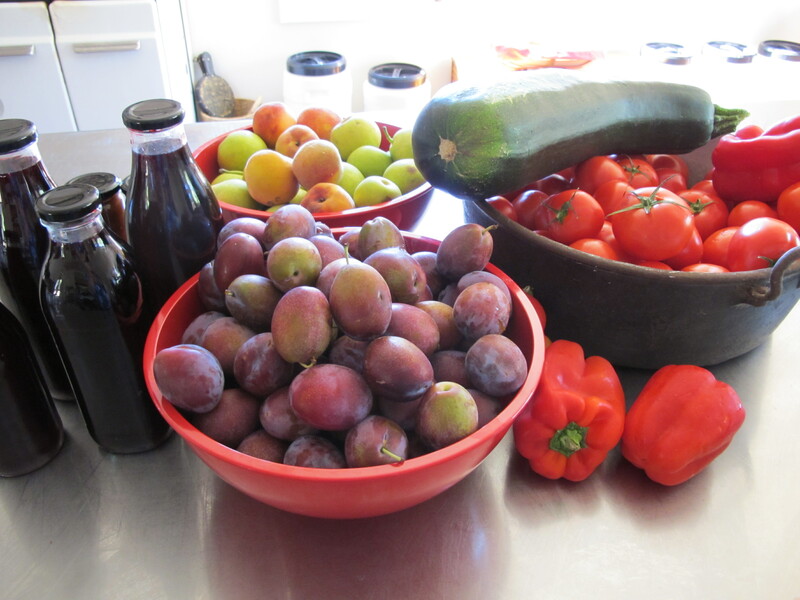 Went for a lovely trip through the Derwent Valley last Saturday, collecting produce for preserving. The weather was perfect, the scenery stunning, especially through the hop fields of Bushy Park. Thanks to all those we visited for the excellent blackberries (Westerway Raspberry Farm), a kind farmer who gave us carrots and lemons, Plenty Park (mulberries and plums), Rob Fooks (nashis and pears, honey and meat) and Redlands (barley). We made cordials, jams, plum chutney and more. 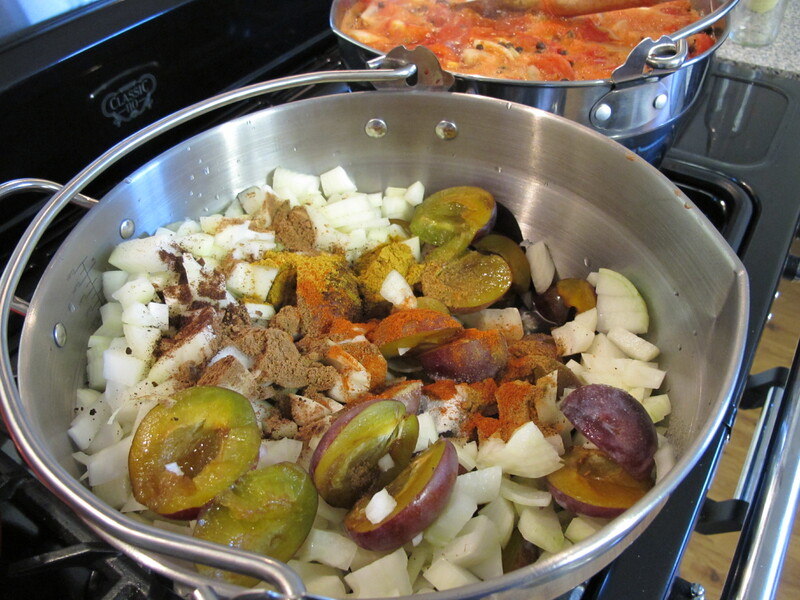 Here is what was left over, now in the pot making more plum chutney and now tomato sauce (with Cracknell’s tomatoes). There’s mulberry cordial that’s just been bottled as well. 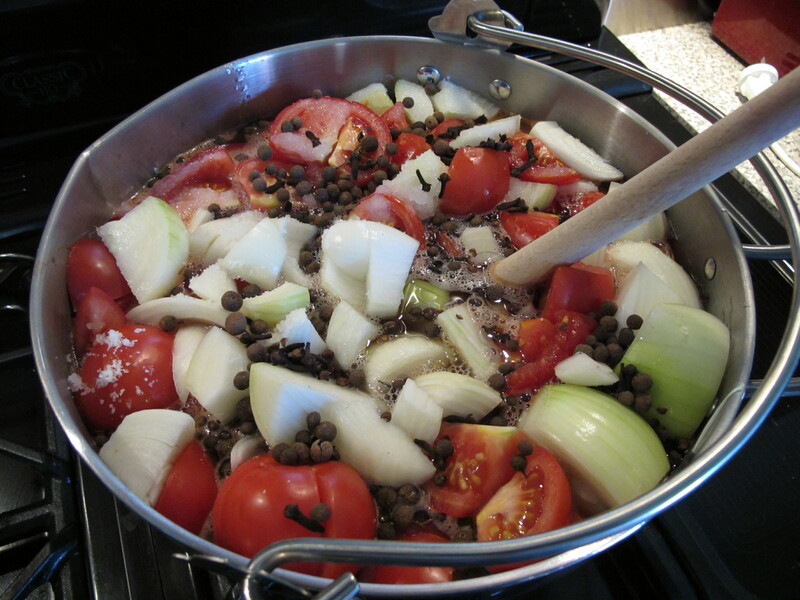 Hi Sally, would it be possible to get your plum chutney recipe please?